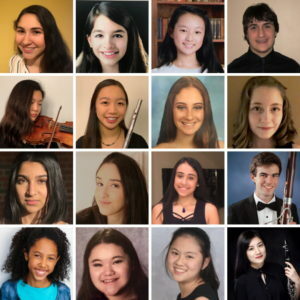 MYO is proud to present the top sixteen finalists (out of 74 applicants) of the 2018-2019 Concerto and Vocal Competition in a concert on Wednesday, February 6, 2019 at 7:00 PM in the Congregational Church of Huntington, 30 Washington Drive, Centerport, NY 11721. The concert is free and open to the public. For more information, please see the Concerto and Vocal Competition page.